How Much and How Often Should I Feed My Dog? 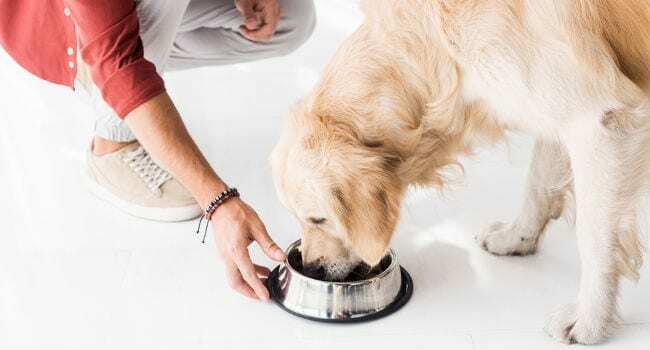 One of the questions many new and veteran dog owners struggle with is, “how many times a day should I feed my dog?” You want to make sure that they have enough food to fuel them throughout the day, but you don’t want to overfeed them either. This can be a delicate balancing act, and we’re going to give you a suggestion guide that will help you set up your own healthy feeding schedule for your dog. Unfortunately, there are no hard and fast rules, and each dog is different, but this general outline should give you a good idea on just how many times a day you should consider feeding your dog. 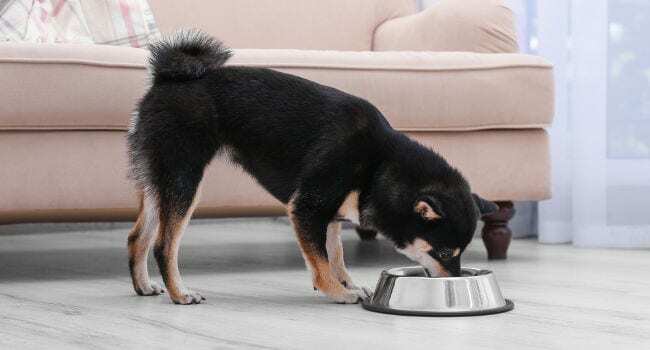 Before we get into the guidelines for feeding your dog, there are few things that you want to consider and keep in mind when you’re trying to work out your own dog’s feeding schedule. Activity Level – Dogs who have a higher activity level will burn through more calories, and this means that they’ll need to eat more during the day. This may not necessarily mean more often though, and it may simply mean that you feed them a larger portion at mealtimes to keep them full. Age – Your dog’s age will factor into how often they have to eat per day because puppies typically require smaller but more frequent meals throughout the day to keep them full. These more frequent feedings usually go until your dog reaches a year old, and then you can switch them to an adult feeding schedule. Breed – Smaller and toy breeds won’t eat as much as your larger breeds, and you may have to break their feeding times up into more numerous portions throughout the day. However, they should all be at the same time to get your dog used to eating on a schedule. How Often Should You Feed Your Dog Per Day? If your dog isn’t overweight, you could try the free feeding method where they have food available all of the time. 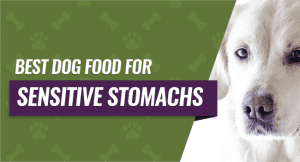 However, this can lead to overeating and obesity unless you monitor your dog’s intake each day, and you most likely want to avoid this in a multi-dog household because you may not know which dog is eating and which isn’t getting everything they need. Unlike some humans, dogs do best when they get a set schedule that they can count on and follow each day. This extends to their feeding times, and you want to keep a consistent schedule, even if you feed them only once per day. If you feed them three times a day, you’d add the third feeding in at around 12:30 PM or 1:00 PM to keep everything consistent. For dogs who have dietary problems or issues eating in general, you may want to talk to your veterinarian before setting a schedule and seeing what they recommend to help ensure that your dog gets enough to eat. How Do I Get My Dog on an Eating Schedule? Setting up a feeding schedule will take a little consistency on your part, but it’s generally easy to do, and your dog will start to catch on quickly when they realize that they’re not going to have a constant source of food available. To start getting your dog in a feeding schedule routine, pick out your one or two times a day that you plan to feed them. When this times comes, place their food bowl on the ground for 10 minutes, or a maximum of 20 minutes if you notice that your dog is a slow eater. After the 10 or 20 minutes is up, pick up the food bowl and put it away. You do this even if your dog hasn’t eaten yet, and they probably won’t eat the first few times you do this until they start learning how it works. At the next scheduled feeding time, place the food back on the floor and wait for 10 to 20 minutes before you pick it up again. You repeat this cycle every day until your dog learns that this is their scheduled feeding time and they have to eat during this time if they want food. Your dog won’t starve between meal times, no matter how much they try and convince you that they “need” some of your food. 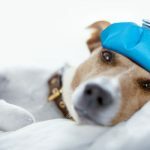 You shouldn’t shower them with treats during this time either, and their total treat intake should be 10-percent or less of their daily diet. Keep in mind that this 10-percent of their diet includes all of the calories your dog eats in a day, and this combines both food and treats. Treats can be fat bombs, so it’s important to look at how many calories your dog will get per treat before you start feeding them several each day. Now that you have a rough idea on how many times per day to feed your dog and how to set up a feeding schedule, we’ll go over a watering schedule. Your dog should have fresh water available at all times, but you want to monitor their intake because this can help to prevent accidents. 7:00 AM – Clean out your dog’s water bowl and fill it to the halfway point. 12:00 PM – Rinse the water bowl again and refill it halfway with cool and clean water. 6:00 PM – Rinse the bowl out for the third time and refill it halfway with cold water. Bedtime – Rinse the bowl for for the final time and fill it a quarter full of water. If you notice that your dog’s water bowl is empty, you should refill it to the halfway point. However, most dogs wont go through that much water unless they’re very active or it’s very hot out. Also, your dog will most likely need more water as they start to age, so you should adjust how much you fill the bowl if you notice that they’re consistently running out between rinse and refill periods. If you’re concerned about your dog’s water intake, you can always ask your vet and see if they think that your dog is drinking too much. Control your dog’s food portions and keep them within their breed guidelines. Set your schedule and stick to it, so your dog gets in a routine. Feed your dog a high-quality dog food without a lot of fillers. Get your dog a breed or age-specific dog food that’s formulated to match their needs. Switch out from puppy food to adult food at 12 months. Never feed your dog around the table or feed them table scraps. Slowly transition your dog from one food to the next to avoid digestive problems. 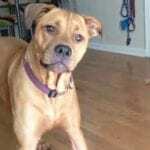 Feeding your dog the correct amount and be a frustrating and challenging time, especially if you’re a new dog owner or if your dog is picky. 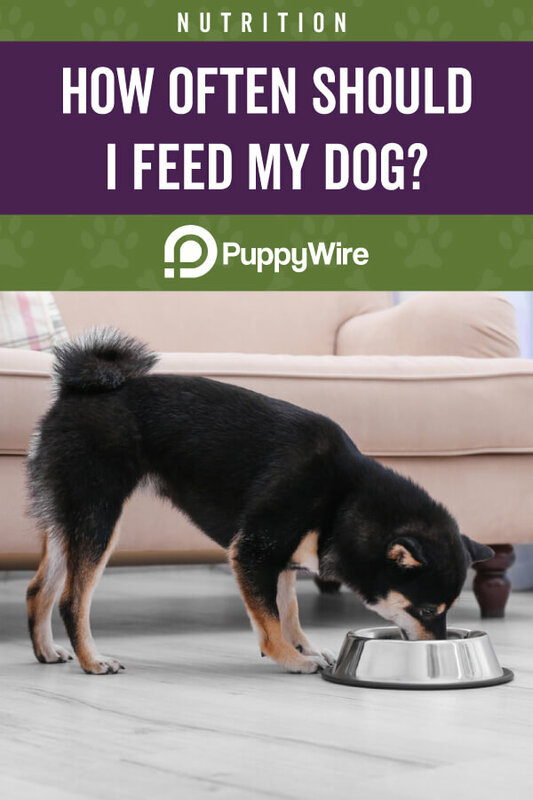 However, now that you know the answer to the question, “How many times a day should I feed my dog?” you’re ready to set up your own feeding schedule and keep your dog healthy, full, and happy. Why Does My Puppy Pee So Much? © 2019 PuppyWire. All rights reserved.